Maintenance is a key component in increasing the useful lifespan of your silo. Inspections are only beneficial when they are followed with the necessary repairs and maintenance. Routine maintenance prevents serious issues that jeopardize the safety of workers and compromise stored materials. Ongoing maintenance keeps silos in proper working order and ensures the safety and efficiency of your operation. It is also the only way to prevent severe damage, caused by ongoing issues, that can lead to structural failure. Air pad diffusers and air stones improve material flow in silos and help prevent packing of stored powders as well as residue build up on interior walls. Routine maintenance and replacement ensures continued silo efficiency and promotes safe operations. Roof-top and exterior wall coatings should protect against the elements and other potentially corrosive substances. For the greatest efficacy, coatings should also fully adhere to the silo surface rather than act as a floating membrane. A damaged roof-top coating leads to deterioration that goes unseen without regular inspection. Marietta Silos now offers additional silo services through USA Silo Service. In addition to cleaning services, USA Silo Services provides air pad inspection, removal and replacement, bulk storage removal and vacuum truck service. 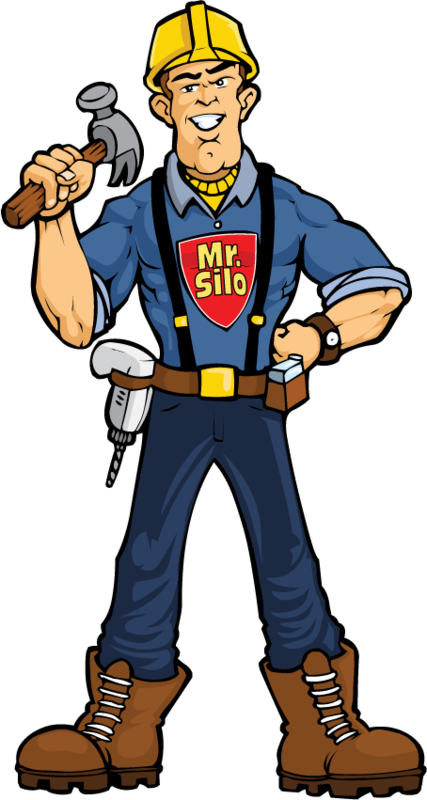 Contact USA Silo Services to get a quote and schedule your silo cleaning and maintennce today.